Just Coco Balanan Facial Mask to detoxify skin for a brighter complexion. Made from yellow silt clay, sea clay and activated coconut nut shell charcoal, this clarifying facial mask will draw impurities out of skin and gently exfoliate your face and neck. USE: There are several ways to enjoy your mask. Measure a 1/2 teaspoon of the powdered mask and mix it with water to form a paste. You can also mix it with milk, yogurt or honey. Lightly pat on a thin layer over face and neck. Remove with a warm damp cloth and splash face with water. Towel pat dry. 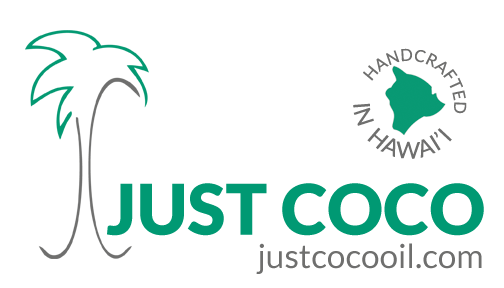 Follow with Just Coco virgin coconut body oil of your choice to remove remaining mask while you moisturize.